At CES, we're learning that virtual assistants like Amazon's Alexa will be delivered as a utility to almost every appliance in your home. Amazon's Alexa won CES this week. Amazon's virtual assistant, which first appeared more than two years ago on Amazon's Echo smart speaker, seemed to be popping up everywhere at the annual International CES trade show in Las Vegas this week. The chatter about Alexa at CES is broadly muddled, with reporters talking about devices "supporting Alexa." But not all "support" is created equal. Most of this "support" is relative banal. It means that a smart device gains the ability to be controlled or monitored through Alexa. Appliance maker Whirlpool, for example, announced this week a new line of home appliances available in "early 2017" that respond to Alexa commands. They'll let you change the temperature of your Whirlpool refrigerator by telling Alexa. And the virtual assistant will be able to tell you if your Whirlpool washer and dryer is running and how much time is left before the clothes are done. 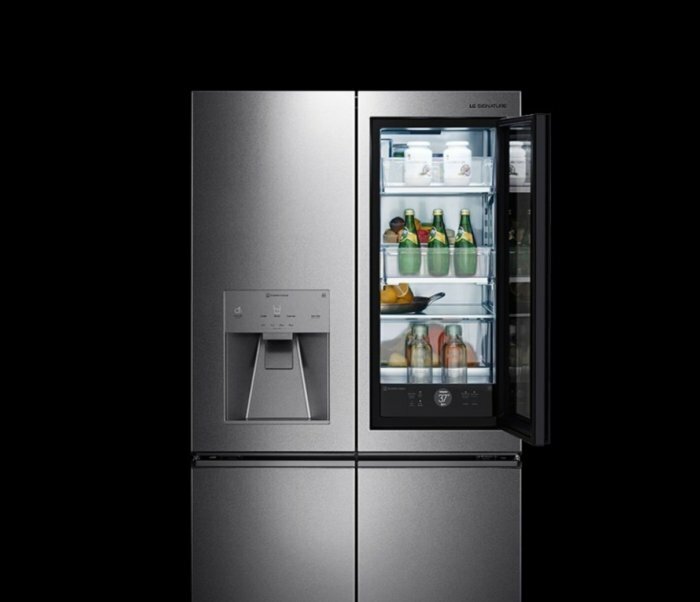 The LG Smart InstaView fridge has Alexa support built in. It's like a giant Amazon Echo that also keeps your food cold. Dish Network's Hopper DVR boxes are getting Alexa control. As with Apple TV, you'll be able to use voice commands and conversation to find shows and change the channel. ADT Pulse also got Alexa support this week. After February, users will be able to arm and disarm their home alarm security systems and deadbolts by talking to Alexa. Access to the security system is granted when you speak a four-digit PIN code. Of course, when you speak a PIN code, others can hear it, then later use it from outside the house (if they yell loud enough) to disable the security system. Users should be careful with this one. We also learned this week that Alexa support is being extended to the Belkin WeMo Dimmer Wi-Fi light switch and WeMo Mini; Carrier Cor 5C and 7C Smart Thermostats; Element, Sieki and Westinghouse smart TVs; First Alert OneLink Environment Monitor; the Incipio CommandKit Wi-Fi light switch and Wireless smart power strip; Vobot Clock; iHome's iAVS16 bedside speaker; SkylinkNet™ connected home suite; Coway's Airmega smart air purifier; Hubble Hugo mood-tracking smart camera; Sensory VoiceGenie; Jam Audio speakers; Bixi gesture controller and other devices. I like this brand of "Alexa" support. But it's not nearly as interesting and culture-changing as the other kind: When devices actually deliver Alexa itself. The Lenovo Smart Assistant, for example, is just like Amazon's own Echo, but with better sound. Omaker Wow Wireless Wifi Portable Bluetooth Speakers with Amazon Alexa are also straight-up alternatives to Amazon's Echo, Echo Dot and Tap devices. Two devices, the Nabi Aristotle (Nabi is a Mattel company) and the C-Way Memoo are Amazon-Echo like devices for children. These are proving controversial because the idea of a corporation listening in on children is creepy to some parents. They can read stories to children and broadly function as a kind of robot babysitter, to a limited degree. While Echo alternatives are welcome, they're not nearly as interesting and surprising as some of the other new appliances delivering Alexa. When Google announced its OnHub router in 2015 and Google WiFi mesh routers last year, a few pundits asked: "Why didn't they put Google Now or the Google Assistant on these routers?" It's a good question. But at CES, Linksys became the first company to announce the idea of a virtual assistant on a mesh router system. 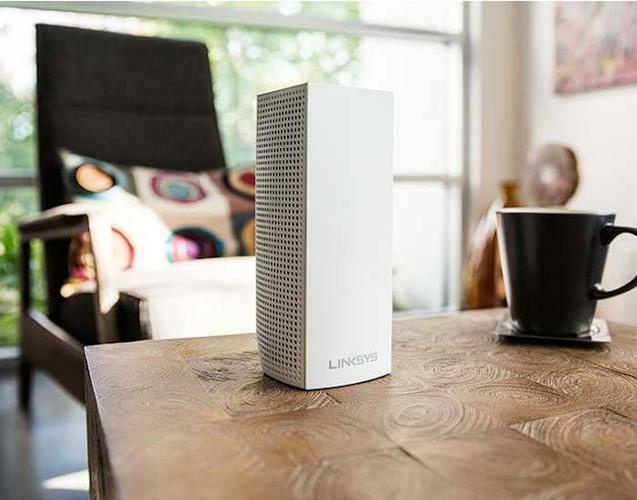 The company unveiled this week it's Linksys Velop Whole Home Wi-Fi system. The mesh routers provide full coverage in a home by creating a chain of wireless connectivity, which extends Wi-Fi more broadly in a home than a single router can. The Linksys Velop ships Jan. 15 in packs of one ($200), two ($350) or three ($500). Each router provides the speaker and microphone needed to interact with Alexa. A company called Ubtech Robotics unveiled a robot called Lynx at CES that has Alexa inside. The robot has its own capabilities unrelated to Alexa, such as the ability to recognize faces and demonstrate fitness exercises, but also functions just like an Amazon Echo. LG also announced an Alexa robot at CES. The company didn't provide all the details, but the Hub robot appears to be a small robot that simply functions as an Amazon Echo type device, but with a personality, expressed through its round display and ability to swivel to face whomever is talking to it. Chinese smartphone giant Huawei announced at CES that its $599.99 Mate 9 phablet would become the first smartphone to ship with Alexa integration pre-installed and integrated. While Alexa is available in a smattering of mobile apps for both Android and iOS platforms, the Huawei integration appears to offer "always-listening" hands-free access to Alexa. All these new Alexa appliances join several announced last year, including a lamp called the C by GE. I really like this idea because, as I said in this space a year ago, lights and light bulbs are uniquely suitable as locations for virtual assistants. One line of products shown at CES functions both as an Alexa-controlled device and an Alexa appliance: Ford cars. The first implementation will show up in the Focus Electric, Fusion Energi, and C-Max Energi cars. Ford Sync Connect users will gain the ability to start, lock or unlock the doors, and get information about the car from any Alexa device. Later this summer, Alexa itself will be made available in Ford cars, so you can interact with Alexa from inside the car, including the ability to control the audio system with voice commands. The car dashboard works like an Amazon Echo. Let's be clear about what's happening with virtual assistants. As I predicted in this space in 2014, within a few years, you will almost never be out of virtual assistant range. When you talk, they will hear you. You won't even have to think about which device is serving you. Just ask a question and a voice will answer. There are two ways to achieve this: The Apple way and the Amazon way. The Apple way is to serve up its Siri virtual assistant primarily as a feature on mobile devices like the iPhone and the Apple Watch (two exceptions are the stationary Apple TV and iMac). By choosing "Allow 'Hey Siri' " in the settings of an iPhone, your phone is always listening for the "Hey Siri" command. Everywhere you go, Siri is listening, as long as you bring your iPhone. The Amazon way is to offer Alexa Echo appliances for every room in the house and also open its virtual assistant to hardware developers so Amazon is built into every appliance, vehicle and object in the home and office. The Google way, meanwhile, is to do both at the same time -- get a virtual assistant into every phone, on every computer and also open to third parties. Google is more than a year behind Amazon in third-party integration. The biggest challenge for Google in this space is Google itself. Google's virtual assistant strategy is muddled and confusing. Quick, what's Google's virtual assistant? Is it the Google Assistant? Or is it Google Now? And what is Google Voice Search? Isn't Google Assistant mostly just Google Voice Search? Regardless, Amazon and Google will get virtual assistants into just about every category of internet of things device. You'll talk to the fridge. You'll talk to the toaster. You'll talk to the toilet. Everything will be listening. Everything will know you, guide you, inform you, entertain you and do things for you. As everything continues moving to the cloud, our virtual assistants will become our main interface to the cloud -- which is to say our main interface to everything. As Star Trekish and awesome as this will be, you can be sure that new problems will arise. Alexa-powered devices, such as Amazon's own Echo appliance, are always listening for a "wake word" -- the word that triggers the device to listen for other commands and requests. Alexa's "wake word" is "Alexa," or alternatively "Amazon." (This is a bummer for one Reddit user, who claims that he has two daughters named "Alexa" and "Amazon."). Virtual assistants will end the use of "Alexa" or "Siri" as names for children or pets. The assistants everywhere world will raise new issues around privacy and security. They'll even challenge the necessity of knowledge itself, or at least trivial knowledge. After all, if every fact is instantly accessible with a question, what's the point of committing any fact to memory? The new world of ubiquitous virtual assistants has been creeping up on us for a decade. But CES this week was a turning point. It's clear we enter that world this year, in 2017. Will you remember when it happened? Don't bother. All you'll have to do is ask.